With gas prices ever on the rise and the fast consumption of our fossil fuels, we must look into transitioning from petroleum-based fuels to “greener” alternatives such as hydrogen gas (H2). 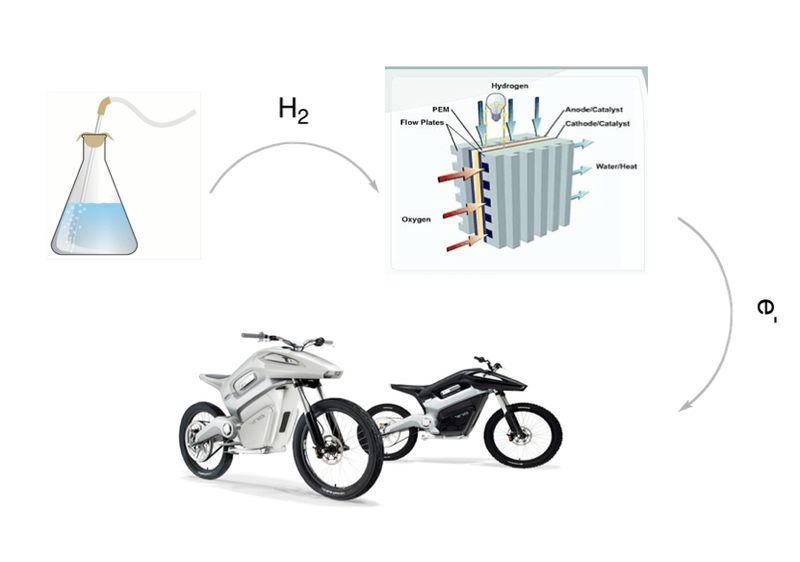 Unfortunately, the current use of hydrogen as a fuel in transportation has dangers with storing the gas in a compressed state. Therefore, in my graduate research as a Sonosky Summer Fellow, I investigate alternative ways of storing the gas safely until time to release it in a controlled way. One of the attractive options is Ammonia Borane (AB), a stable solid that is a form of chemical hydrogen storage. AB is very dense and can potentially release high amounts of hydrogen under mild catalytic conditions. Ideally, this technology would be implemented into a fuel cell where it can power light vehicles. 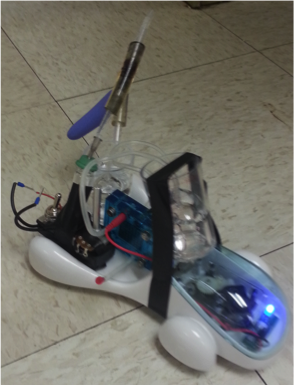 Our lab, the Williams Group in USC’s Department of Chemistry and the Loker Hydrocarbon Institute, has demonstrated the use of this technology using a toy car. By engineering the toy car with our catalyst systems and a fuel cell that converts H2 to fuel, we can power the car. However, one of the problems with AB is that after a certain point, a detrimental byproduct called borazine forms. Borazine is harmful to the reaction in two ways: first, it often deactivates the catalyst, and second, its volatile nature means it can travel into fuel cells and poison them. This summer, I searched for the optimal catalytic conditions to achieve the most efficient use of AB as a hydrogen fuel. We’ve developed a new catalyst that can release high amounts of hydrogen and minimize borazine byproduct formation. We have shown that the catalyst can also convert borazine into less volatile and harmful byproducts, all while considering cost efficiency. Current continuing efforts in our lab are testing the reusability of this catalyst, and the exact mechanism in which it works. With a bit more additional experimentation, we hope to write a manuscript detailing this research project to share it with the research community and ultimately see this contribute to “greener” fuel applications in the world. 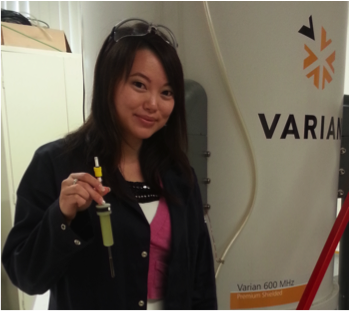 Lily Zhang is a graduate student with Dr. Travis Williams in the USC Department of Chemistry, and was recently a 2015 Norma and Jerol Sonosky Summer Fellow with the Wrigley Institute. This entry was posted in Graduate, Wrigley Institute on September 30, 2015 by Jessica Dutton. Everyone is probably familiar with the need for renewable energy sources to decrease our dependence on fossil fuels and other finite resources (or we are running out of dead dinosaurs to burn, as I like to say). 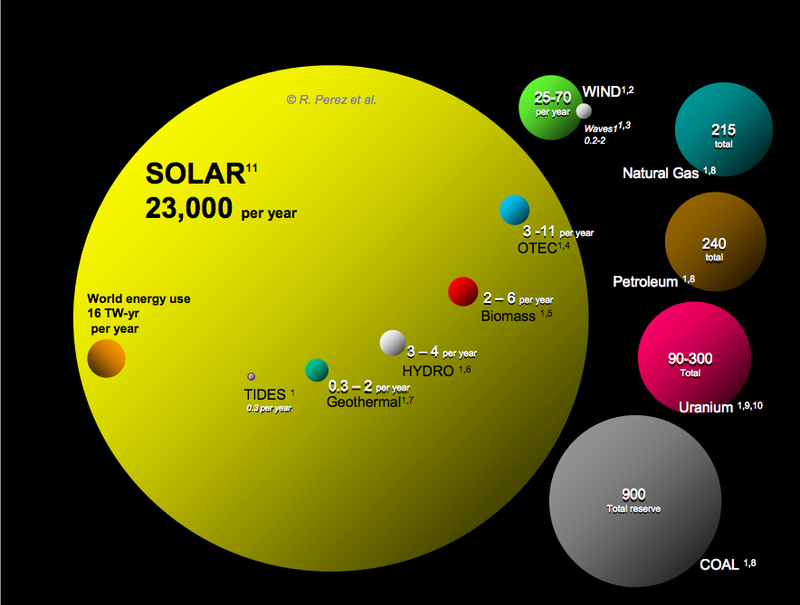 The sun is an obvious source of energy- sunlight is free and abundant, which is indicated in the chart comparing current and predicted energy output for various resources. However, actually using the sun to compensate for finite resources and a growing energy demand is not a trivial task due to varying levels of sunlight around the world and the already existing infrastructure for other energy sources. As a Wrigley Institute Sonosky Fellow, I study solar cells. 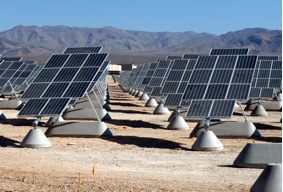 Solar cells work by converting the energy of sunlight to electricity. The first of such devices was demonstrated in 1954 at Bell Laboratories. This device incorporated silicon, which is still in commercial solar cells today. The method of producing silicon for these devices involves cutting wafers from ingots or ribbons. Silicon can also be made as a thin film, which mean less material can be used. 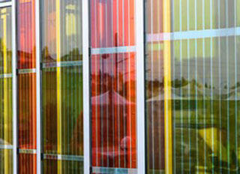 Solar panels, like the ones in the picture below, are a combination of many solar cells into one larger structure. Image: U.S. Air Force, photo by Larry E. Reid Jr.
Other materials such as cadmium telluride and gallium arsenide are also currently used in thin film devices, and research continues to find new materials for solar cell technology. You may wonder why there is so much research on solar cells and light absorbing materials if there are already commercially available solar cells that are ‘good enough.’ What today’s researchers aim to do is create solar cells that are easier to process than conventional silicon devices and that can improve upon the bulk and rigidity of silicon solar panels. This will open the door to new solar applications and more efficient solar technology. In my current research my goal is to find a light absorbing material that competes with the efficiency of silicon devices, but can be made in thin film form – all with simple and cheap processing. Transparency, flexibility, and efficiency are greatly desired in the next wave of solar cells so that they can produce energy while incorporated into everyday objects such as windows. Through my research, I hope to advance this “next generation” of solar technology and help renewable energy resources become increasingly prevalent in the world. Kelsey Bass is a PhD student in the USC Department of Chemistry, under Professor Brent Melot. 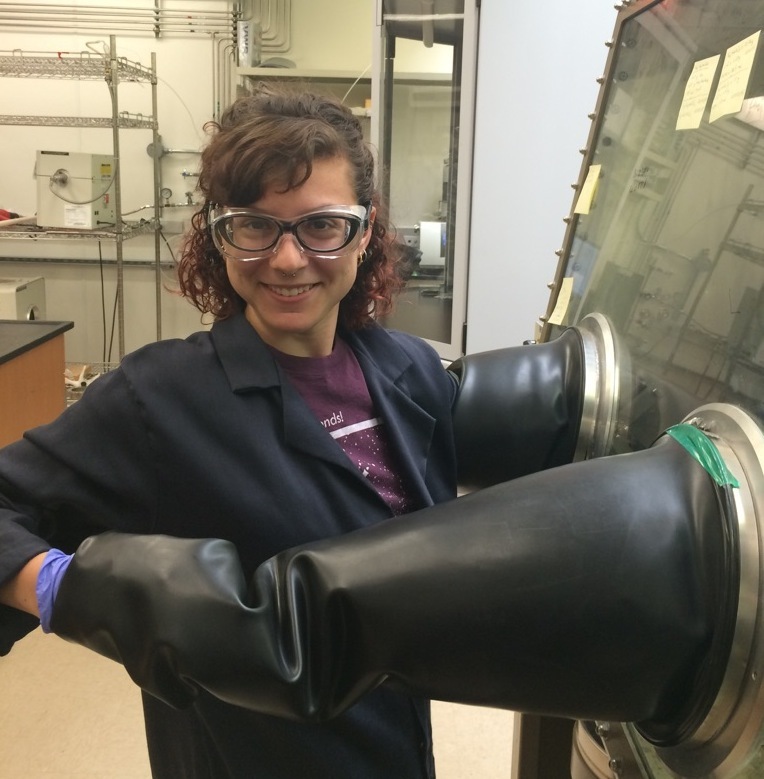 She is researching environmentally-neutral ‘next generation’ perovskite solar cells, easier to process than commercial silicon cells, for use in renewable energy applications. This entry was posted in Graduate, Wrigley Institute on September 14, 2015 by Jessica Dutton.